JAMIE Clarke – discuss. In the build-up to Armagh’s All-Ireland Round Three Qualifier with Tipperary, James Horan didn’t need much prompting from Sky Sports GAA presenter Rachel Wyse to examine the Crossmaglen man’s impact on the inter-county stage. 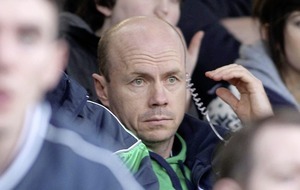 Fellow analyst Peter Canavan had already delivered a touch-screen clips package on Clarke. It showed the good and the not-so-good. “There is no doubt at club level he has shown fantastic ability,” Horan began. “He’s been absolutely brilliant for his club over many years. But I’m still waiting at inter-county level to see what all the talk is about. “In some of those clips [shown by Canavan] you can see his movement but he’s only doing it sporadically in games. “He’s not doing it often enough; he’s not putting in the work that you need to put in at inter-county level. “This man over here, Peter Canavan, was double-teamed 15 or 20 years ago and could still get on the ball because of the runs he was making, whereas there is this body of thought around Jamie that because he’s double-teamed he can’t get on the ball. “But if you’re good enough and your attitude is right you can still get on the ball. Horan, in fairness, was merely reflecting the uncomfortable consensus that had gathered around Armagh’s great white hope: a brilliant club player who has never hit the same heights at inter-county level. A curious nomad distracted by the world. One sabbatical tripped into another. Football didn’t float his boat quite as it once did. For a period Clarke had become better known for his global jaunts than his skills on a football field. Horan had an ally in Canavan. “The point that James was making, and with some justification, was: when are we going to see him doing it for Armagh?” says Canavan. “Jamie Clarke had to give an answer. 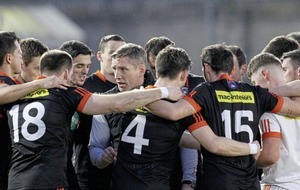 Up until this year would people have said Jamie Clarke is the leader of this Armagh team? No. Absolutely not. For interminably long periods of last month’s All-Ireland Round Two Qualifier with Westmeath, it looked as though another Championship campaign had passed Clarke by after he'd received a black card in the opening seconds in Cusack Park for a body-check. Westmeath kicked the game away in the second half and up stepped substitutes Ethan Rafferty and young Oisin O’Neill to seal a stoppage-time win. Armagh advanced by the skin of their teeth – and Clarke breathed a huge sigh of relief. 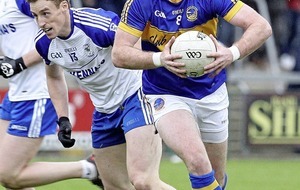 In their subsequent wins over Tipperary and Kildare Clarke has shone like a star. In the second half of last Saturday night’s nail-biting encounter with the Lilywhites Clarke was poetry in motion. “A genius at work” was how Canavan described Clarke’s display in Croke Park last weekend. “I think what he’s added to his game this year is his work-rate off the ball, which has been exceptional,” says the two-time All-Ireland winner. Since those back-to-back Championship displays against Tipp and Kildare, Horan has been well and truly won over. “I tell you, there’s a real attraction to Jamie Clarke because of the flair he has and how easy it looks to him,” says the former Mayo manager. “People want to watch Jamie Clarke, we need him in the game, we want that type of guy in the game, we want to see him at his absolute peak and I just felt – yes, it’s definitely there but I hadn’t seen it consistently. So that was just a question I raised. Horan adds: “One of the things that has really impressed me about Jamie is the amount of his hand passes that have opened up defences. He did it against Tipperary and Kildare. “He gets the ball; he does a shimmy and gives a quick hand pass that puts guys into space. Upon receiving his man-of-the-match award last Saturday, Horan was equally impressed by Clarke’s post-match interview with Sky Sports. With an acute sense of the fine lines in Gaelic football Croke Park, Clarke said, can easily turn into a “butcher’s yard”. Last year, Clarke declared from an early stage that he would not be playing for Armagh in 2016. Based in New York, he played Gaelic football and a bit of soccer while Armagh struggled in the League and Championship. At the tail end of last year Kieran McGeeney met up with Clarke and the vibe was the mercurial attacker would be back in harness in 2017. Approaching his 28th birthday, the clock was ticking. Had he delayed his return by another year, Clarke might never have got the chance to shine at the top level. “He wouldn’t have fulfilled his potential if he hadn’t come home this year,” says his former Crossmaglen manager John McEntee. “It would have meant the best years were left behind him… The thing is when you stop playing football, you’re forgotten about very, very quickly. Clarke is a million miles removed from the GAA footballer stereotype. He loves fashion, reading and good coffee shops. During one of several spells in Manhattan/Brooklyn, Clarke loved nothing better than heading to the Ace Hotel on 29th and Broadway where he would chill out in Stumptown Coffee Roasters. 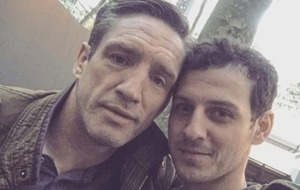 In an interview with The Irish News, Clarke said: “We would hang out there for an hour before catching the subway to Williamsburg in Brooklyn. There is a cool place called ‘Juliette’ where we would get a delicious brunch before checking out the flea market. McEntee also dispels the notion of Clarke not wanting to put the hard yards in. “Whenever Jamie is there [at Crossmaglen] he’s always trained very hard. He’s a great trainer and in the games he always does his best. He will work as hard as anybody else; he will do more miles than anybody else, more laps than anybody else. “He wants to impress, he wants to play on the big stage and wants to show people what he’s capable of doing. “Now, Jamie wouldn’t be committing anything to club at the minute. Some clubs might expect him to be at meetings or whatever else. Jamie won’t do anything like that. “We’re a bit different in Cross. He has articulated what he wants out of life and we have accepted that. “Whenever he gets the opportunity to play in Croke Park he’s going to perform. 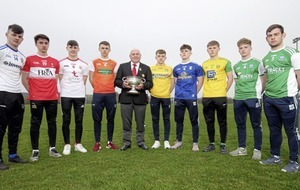 BBC sports journalist Thomas Niblock spent two years piecing together an outstanding fly-on-the-wall documentary on Crossmaglen Rangers, entitled: ‘True North: Crossmaglen – Field of Dreams’ and got to know Clarke well. “I know Jamie gives off this vibe ‘he's so naturally talented’. The reality is he works extremely hard nurturing that talent,” says Niblock. Johnny Hanratty, his Crossmaglen team-mate, echoes Niblock’s sentiments. “He’s a winner,” Hanratty says. “Whenever he’s with us he gives 100 per cent. As a team-mate, he’s a work-horse. “He’s very strong-minded too and if you’re struggling he’s able to pull a score out of the bag. He works hard, he defends - he just does what he’s asked. “And he’s not the type to give off to people and he's not one for talking too much in the changing room; he’s quiet and just gets stuck in. McEntee says without fear or contradiction that had Clarke been born in Kerry he would be a multiple Allstar winner. Canavan is right to describe today’s encounter with Tyrone as Jamie Clarke’s “ultimate test”. The 28-year-old will savour every moment of the day. Over the last couple of weeks Clarke’s critics have disappeared like the summer rain. And we should celebrate the fact that Jamie Clarke is cut from a slightly different cloth. “I can't speak for everyone,” says Niblock, “but I certainly got the impression during my two years with the squad he was extremely well liked among his team-mates.